After a morning of grocery shopping, "The Ukrainian" decided he wanted to go out to eat. This is becoming an increasingly rare event, since we've been cooking more lately. 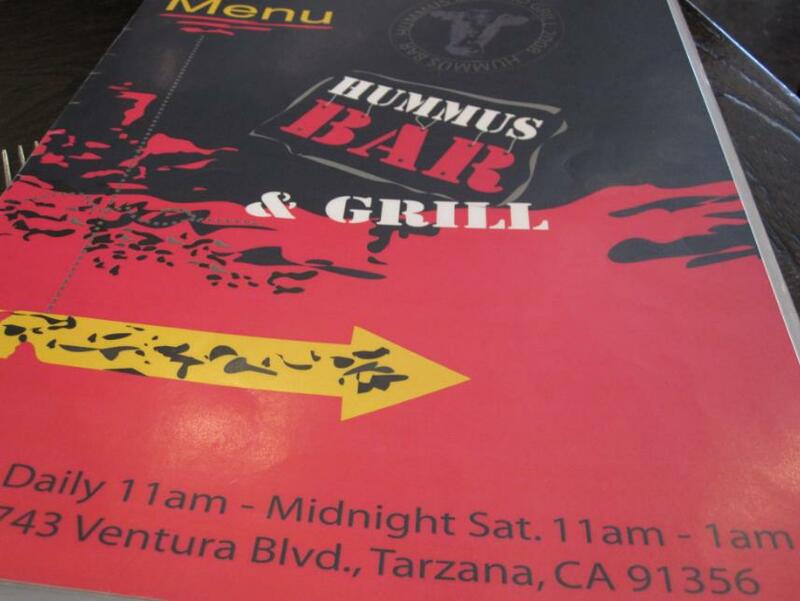 Hummus Bar & Grill is located in Tarzana, CA. It serves Middle Eastern cuisine, so you'll find a good share of customers talking to each other in Hebrew. I felt a little bit awkward there, as I have been discovering that Asians are sparse in this area, and I stick out like a sore thumb. People often stare at me like they have never seen an Asian person before. I'm not a good representative! 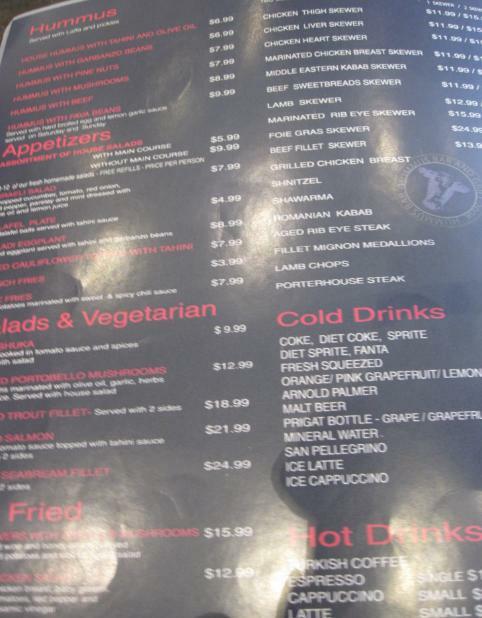 Above: Not too many appealing choices for me in terms of entrees, but the next time I come here, I definitely want hummus! Yes, it was a crime, but given that we weren't that hungry, we decided to order sparsely. 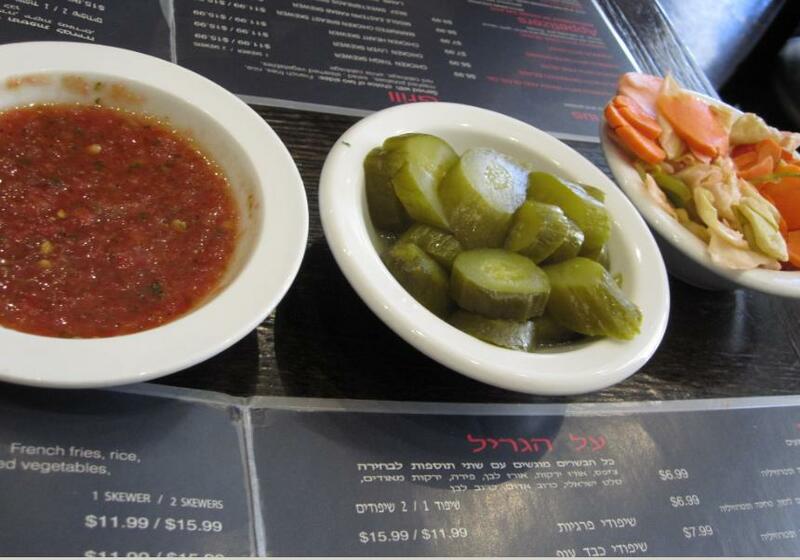 Above: These pickled condiments came after we ordered. They don't know what hit 'em! Yum! 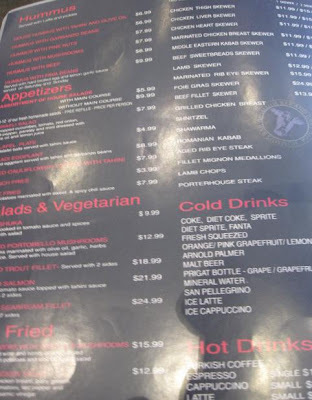 Notice the menu translation at the bottom of the pic! Above: I was SO happy that they brought us a free pita bread. I saw them making it on the way in (I tried to take a pic, but it didn't go too well...). Look at the HUGE size of this. One was more than enough for the two of us. 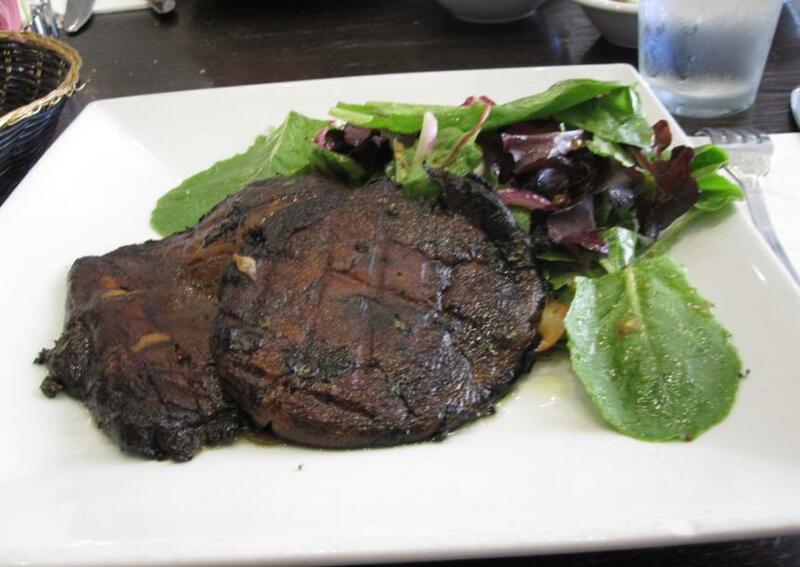 Above: My grilled portebello. It was nice, but I think it was overmarinated or something. The mushroom was WAY too tender for my tastes... I normally prefer a chewier bite. I gave one piece to "The Ukrainian." 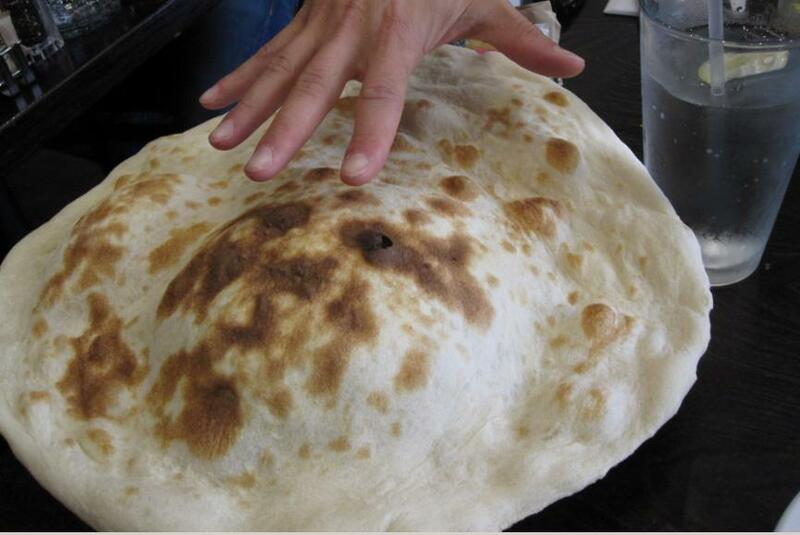 If nothing else, the huge pita was worth the visit. I'm sure we'll be back at some point to pick other stuff off of the menu. 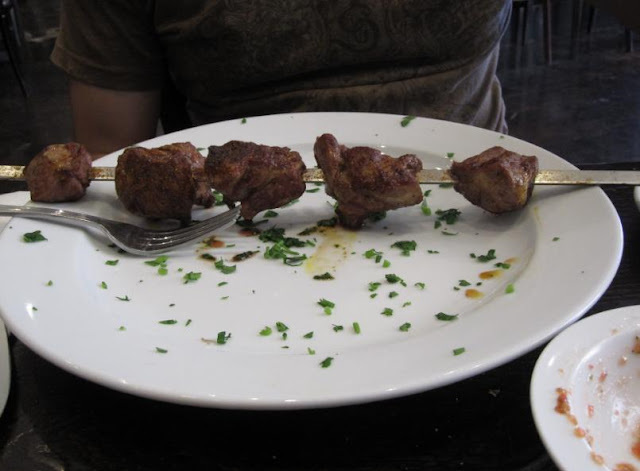 I hate when it is over marinated!! Looks tasty though ;) Have a great weekend! yea you'll have to go back for hummus!